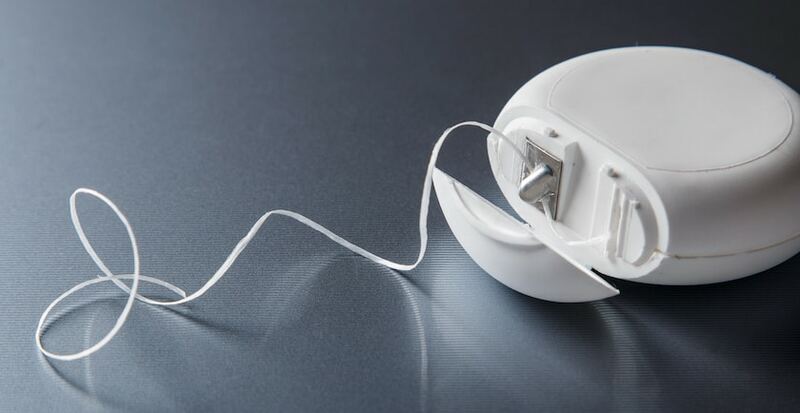 How useful is the Dental Floss? 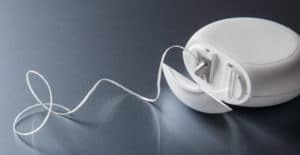 Dental floss is a very important tool to have in our arsenal against bacteria and other dental diseases that can ruin our smile. With it we can get rid of food debris that gets stuck between our teeth and prevent nasty diseases in our gums and mouth. In the long run, if we don´t clean between our teeth we can face a lot of health troubles and concerns. And that is why I feel like this is a subject worth of discussing because there are so many people that believe that just with brushing your teeth is enough to have a good dental hygiene. And the short answer is no, brushing your teeth is not enough to get rid of all the bacteria and bad stuff that accumulates in the mouth over time. According to the American Dentists Association (or ADA), we should clean between our teeth at least once a day to keep our mouth healthy and bacteria free. The problem with the food that gets stuck in there is that over the course of the day it rots and that build up bacteria that can cause plaque and other conditions. And with flossing our teeth we can avoid several oral diseases like gingivitis, cavities, and even tooth loss and other gums infections that can seriously ruin our smile. With the adequate flossing device we can reach those places our trustworthy toothbrush can’t. 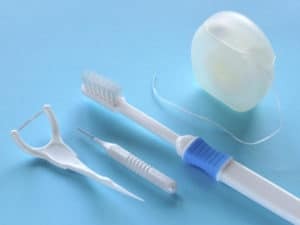 What can I use for flossing my teeth? The best person to ask is your dentist. They can certainly know more about your options and more specifically your personal case. Keep in mind that they are experts and that you should always trust their judgment regarding dental hygiene. But as a personal tip of mine, I always recommend purchasing dental products that contain the ADA Seal of Approval. This is a guarantee that the product is top quality and has been properly tested for consumers. Also if it is from a famous brand you will have that extra insurance that we al like. Inside most of Los Algodones pharmacies you can find several items to floss your teeth. If you are by the area you should not have any trouble to find what you are looking for and you will be saving a lot of money buying them in the town. Keep in mind to always read the instructions before using any tool to floss your teeth. And that includes even the classic dental floss we all know. Using them improperly will result in injuries and bad memories when flossing your teeth and will make you bleed a lot and that is not nice. Be gentle when doing so so your teeth and gums don’t suffer any harm. This is an easy question because flossing per se is a pretty simple task to do. You should always floss after every meal, some people prefer after lunch and other before going to bed. The important thing here is to just do it.